Pierina Barone commenced her real estate career as a sixteen year old working in reception at an agency located in Clifton Hill. 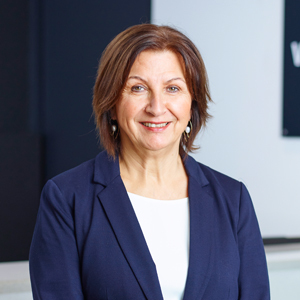 Pierina returned to the industry she loved in 1989 and, after completing one year working in the sales department, Pierina realised her true passion lay in a property management, a role she still enjoys today. Having so many years' experience within the real estate industry, it is fair to say Pierina is the quintessential real estate person. Pierina is regularly commended for treating the properties within her residential and commercial portfolios as if they were her own. She ensures her landlords are receiving the maximum benefit of her service by staying on top of her game and remaining up-to-date with market trends and legislative changes.